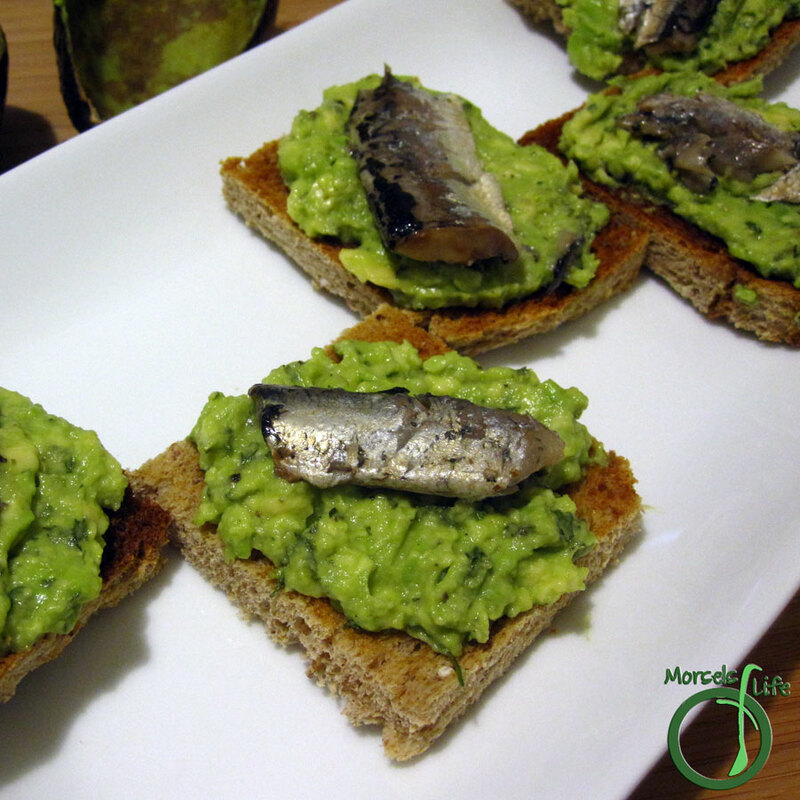 Heart healthy avocado combined with nutritious sardines and spread on toast or crackers - perfect for a snack or appetizer! What's one food with a surprising flavor? bread, saltines, or crackers I used 3 slices of bread and 10 saltines. Drain (and reserve oil) from sardines. Brush bread/crackers/saltines lightly with oil. Combine and mash all materials except toast. You can opt to keep the sardines separate and use as a topping or mix in the sardines. I used the sardines as a topping this time, but I'd mix in the sardines next time. "all in the name of experimentation and exploration"
I love doing that! Occasionally splurging out on something from the continental section of a supermarket for experimentational purposes. Then work out how to include it into a meal that will be enjoyable.